Are you a person who chooses versatility in any type of outfit? Chukka boots are one example of a versatile piece. The Chukka boots have a simplistic design which can be worn at work or can be worn when you want to take a stroll. Most Chukka boots are versatile for any outfit although it still depends on the design and Chukka Boot Materials, if they can be worn for smart casual or for rugged attire. 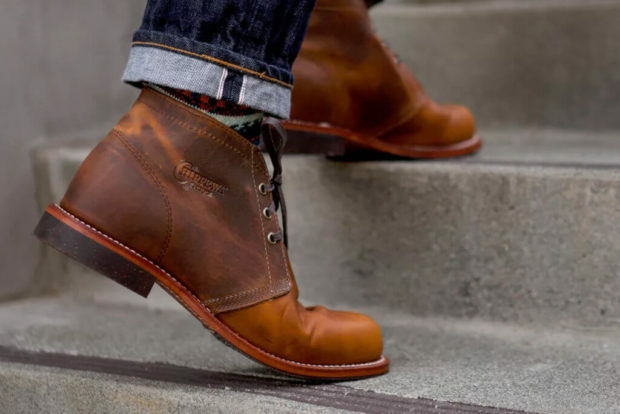 Below are 3 tips you can check out first before you get the best Chukka boots for your style. The upper is the part of the Chukka boots which is seen first and the part of the shoes which manufacturers like to tweak to change its look. There are different materials used for the upper which makes a chukka pair unique. If your preference is of the classic look, you can opt for the leather upper without padding. This design can go with different types of outfits but can go best with smart casual ones. Leather uppers also offer greater durability and are easier to clean as compared to other materials used. Suede upper is of the softer and woolier type and are great to pair with smart casual clothing. Suede chukkas are the comfier type but attract dust more, therefore, harder to clean. Synthetic uppers for Chukka boots are rare ones but offers the benefit of breathability. A combination of different materials for uppers can also be done to create a different style. Picking the pattern of your outsole is vital in choosing the type of Chukka boots for your style. The outsole also determines where you will use your boots most often. Office Chukka boots usually have a crepe or rubber outsole which has excellent flexibility and grip. If your boots are for smart casual attire, you may want a thinner outsole to fit your style. If you are of the sporty type, you may choose a sportier sneaker outsole which will be great on tougher terrain. The combination of the type of outsole with the design of the upper depends on the preference and lifestyle of the wearer. The Chukka boots is a basic design and have been for many years. Lately, manufacturers are being experimental on the designs to cater to the demands of individuals who want their Chukka pairs to be unique. Chukka boots are now in varied colors as compared to the basic browns. Now it is easier to pair the color of these boots to complement the color of your outfits. Manufacturers also took into account the use of these boots in its designs. If boots are worn for work or going to the supermarket, boots with thinner padding are the best options. However, if the boots are going to be used on uneven terrain, thicker padding is needed to walk comfortably. Chukka boots are a staple type of shoes for men. Its versatility is its main attraction. It can look smart casual or rugged depending on what outfit you pair them with. The classic Chukka boots design has been updated, and now there are more choices to suit your personal preference and lifestyle.